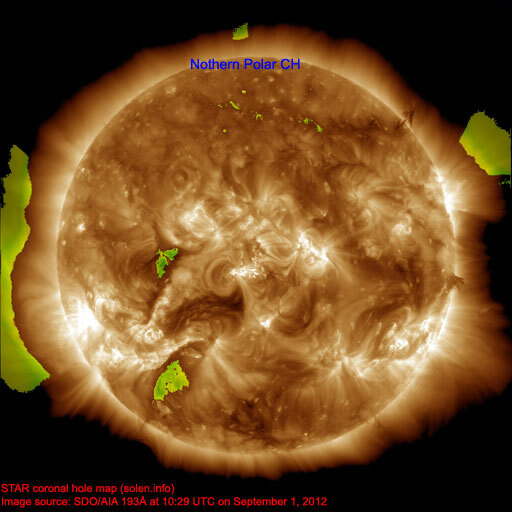 Last major update issued on September 1, 2012 at 06:45 UTC. 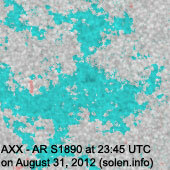 The geomagnetic field was very quiet on August 31. 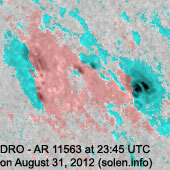 Solar wind speed at SOHO ranged between 277 and 368 km/s. 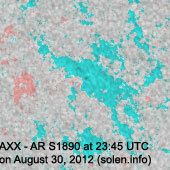 Solar flux measured at 20h UTC on 2.8 GHz was 130.5 (decreasing 8.2 over the last solar rotation). 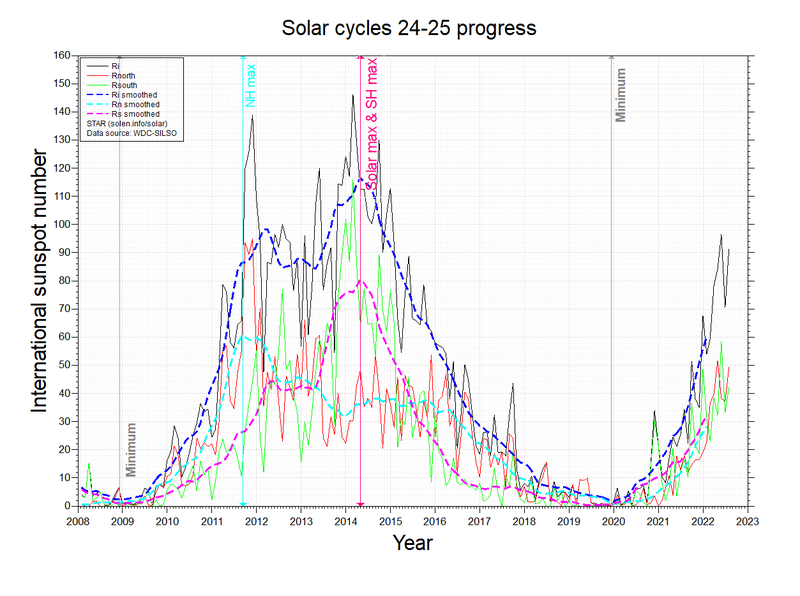 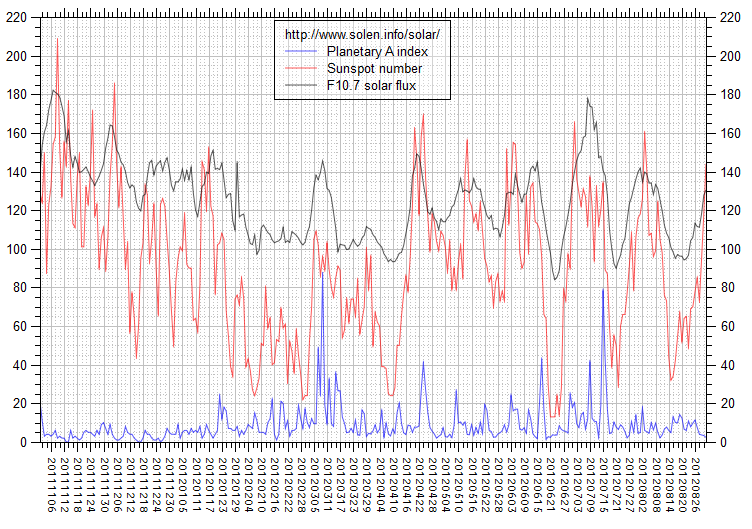 The Potsdam WDC planetary A index was 2 (STAR Ap - based on the mean of three hour interval ap indices: 2.4). 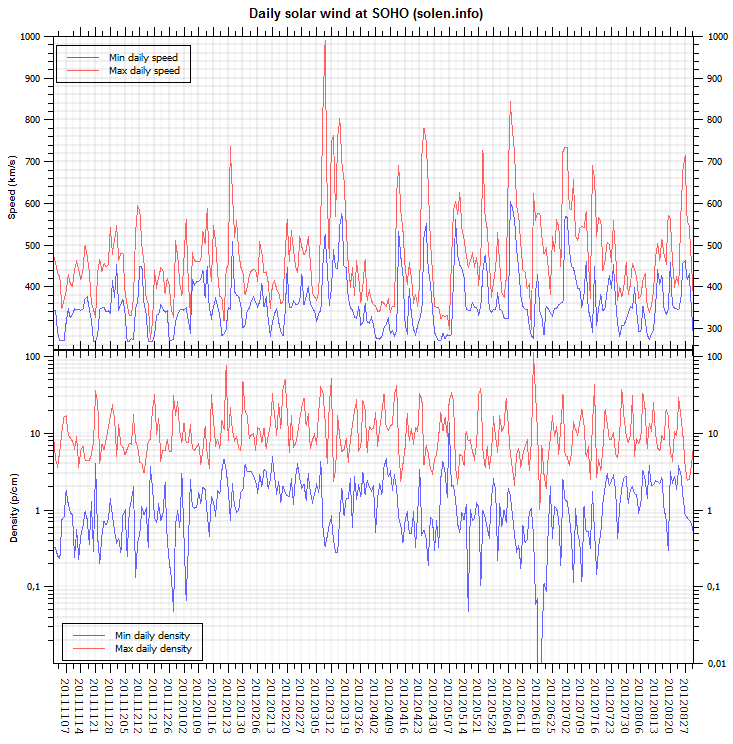 Three hour interval K indices: 11111000 (planetary), 01112211 (Boulder). 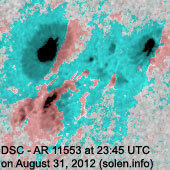 Region 11553 [S21W43] is a compact region with minor polarity intermixing and minor M class flare potential. 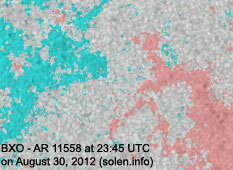 Region 11554 [N16W79] was mostly quiet and stable. 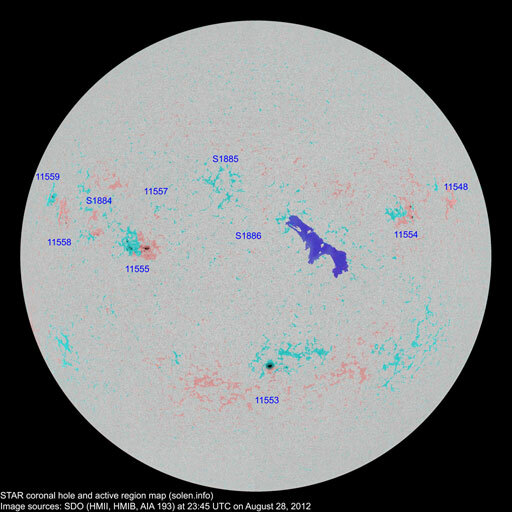 Region 11555 [N07W13] decayed slowly and quietly. 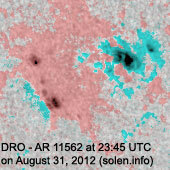 Region 11558 [N17E20] developed slowly and was quiet. 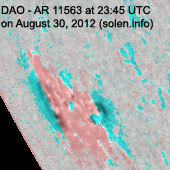 Region 11560 [N03E10] lost the magnetic delta structure. 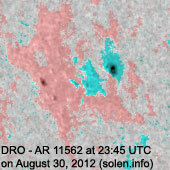 There's still some polarity intermixing and a minor M class flare is possible. 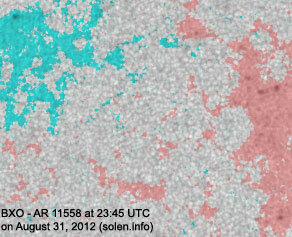 Region 11561 [S12E03] was quiet and stable. 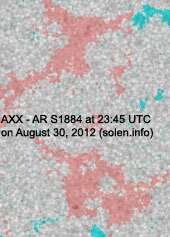 Region 11562 [S18E38] added a few spots and was quiet. 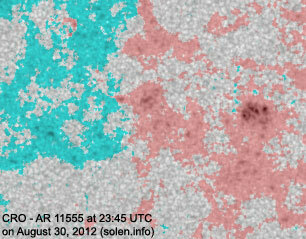 Region 11563 [S26E56] decayed slowly producing some small C flares. 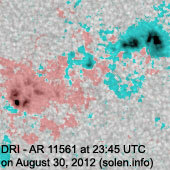 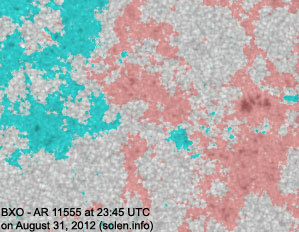 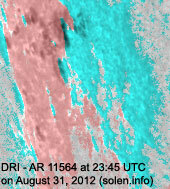 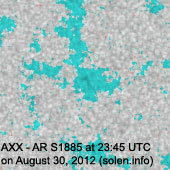 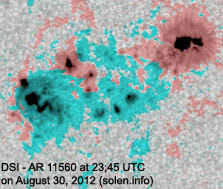 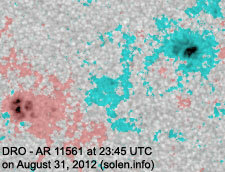 New region 11564 [S14E68] rotated into view on August 30 and was numbered by SWPC the next day. 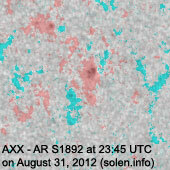 S1890 [S18E17] was quiet and could soon become spotless. 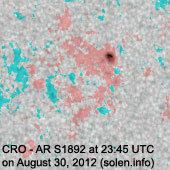 S1892 [N12W43] was quiet and stable. 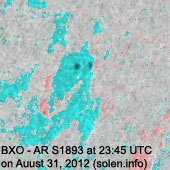 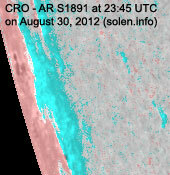 New region S1893 [S16W56] emerged in what used to be the westernmost part of AR 11553. 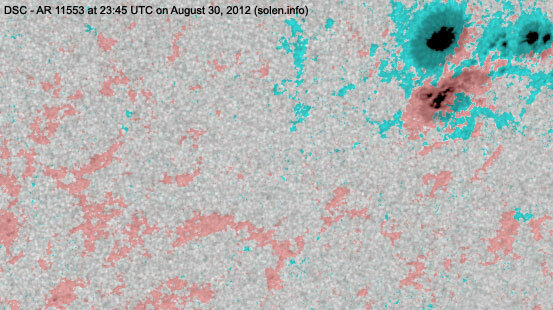 An impressive filament eruption covering a large area in the southeast quadrant peaked as a C8.4/2F long duration event peaking at 20:43 UTC. 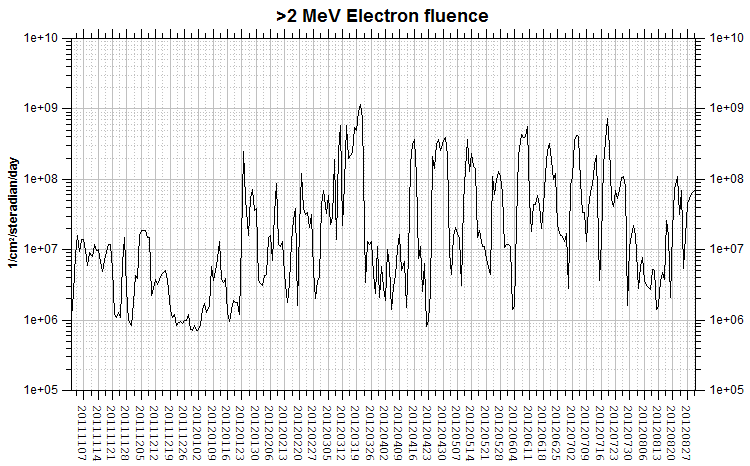 A weak enhancement in proton levels has been observed early on September 1. 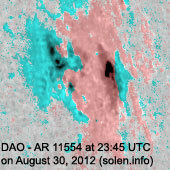 The eruption was associated with a bright and large full halo CME. 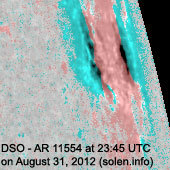 August 29-30: No obviously Earth directed CMEs were observed in LASCO and STEREO imagery. 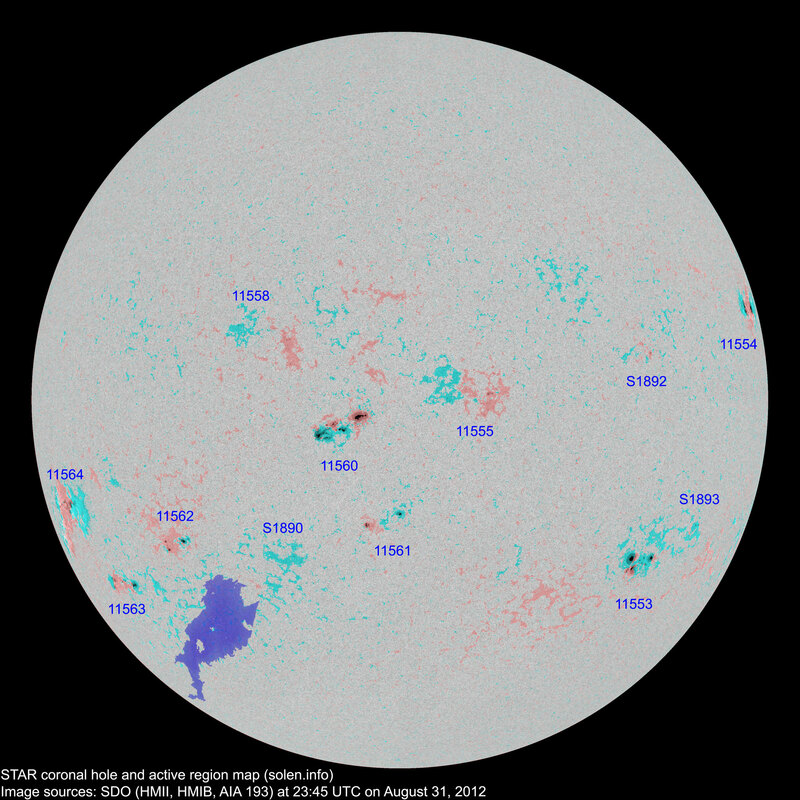 The geomagnetic field is expected to be quiet on September 1-2. 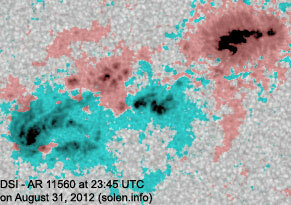 A CME could reach Earth on September 3 and cause active to major storm conditions that day and on September 4.